Since 2012 we have been challenging the traditional publishing mould by producing inspiring editorials that uplift our communities in an innovative magazine format that is setting real trends. Stella is a quarterly lifestyle magazine that brings together indigenous voices from across the globe. We are a tribe of independent thought leaders, creative game changers, contemporary rule breakers, and evolving style makers. We are here to shake up the status quo. To find us you needn’t go far. In fact we’re already digitally in your pockets and devices and can be sent to any location in the world. Just ask our readers in 12 countries worldwide – from the colourful streets of Port Moresby to the canals of The Netherlands, Stella is a global indigenous movement. Our stories, interviews, poetry, photography, craft, art and practical tips all aim to inspire and create change. Whatever you are looking for, the Stella tribe can steer you towards dreaming big and living on purpose. Founder/Editor Amanda Donigi began her working life in a little town in South Korea teaching small children to speak English. This was just the beginning of forcing herself out of her comfort zone that would lead to the decision 10 years later, back in her hometown of Port Moresby, to launch a lifestyle magazine to celebrate and connect indigenous people. Under her guidance, Stella has grown steadily across the Pacific and into Australia and the world to become more than just a quarterly magazine. She has sparked a movement for unity, equality, and prosperity for all indigenous people. Since the very beginning we have thought so much bigger than the pages of Stella magazine. 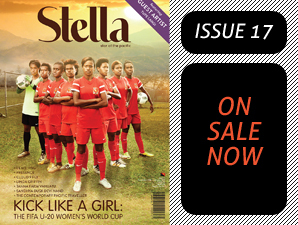 Stella has proven that magazines are interactive and community building with an ever growing readership and creative team boasting some of the region’s deepest thinkers and highest achievers. Our team has taken playfulness to another dimension by working together to draw attention to issues that are largely overlooked in media. We are blending old and new, holding up the cultural mirror, and rebelling to bring modern viewpoints to the people and encourage alternative thought. Our website makes information available to everyone everywhere and our social media pages are setting trends and giving voice to the overlooked and voiceless. If you want to find us at our best, join us at our annual RUNWAY event, curated to connect innovative designers with a fashion-forward public. Our team values collaboration and excellence and are continually raising expectations in the industry. We are inclusive, non-discriminatory, and always welcome new voices. Whether you start as a reader or a subject of a story, we welcome everyone to be a part of this celebration of indigenous people. 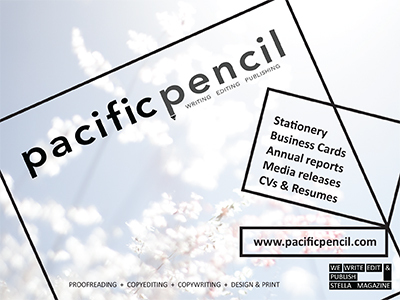 Stella magazine is published quarterly by Pacific Pencil Ltd & available at the outlets listed here.